Trying to make biographies more exciting? This article gives suggestions on how to make reading biographies fun by utilizing technology. Grade level: This lesson is geared to 4-6th grade classes but it can be used in upper level grades as well. 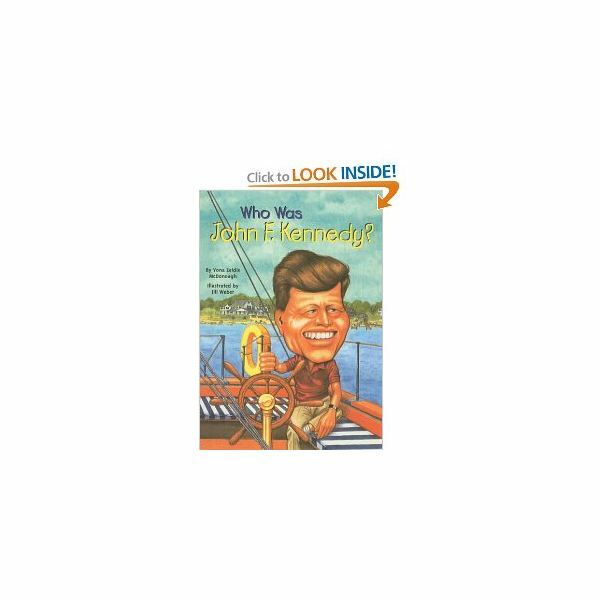 If you are struggling to find a good biography that keeps students engaged then I suggest a series called "Who Was...". The series is simple, has great ilustrations, and has a timeline included in the back. 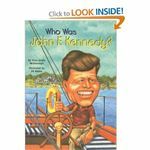 Yona Zeldis McDonough's Who Was John F. Kennedy? makes a great choice. After picking out a biography and distributing it to the class, give students a packet to go along with the text. The packet should include a graphic organizer with a "date" column and an "events" column. Students will use this sheet to take notes on important dates and events. The next sheet has the title "notes" on it. Students take notes on important information they will use for their open response. Next in the packet is the actual open response question with lines underneath for writing. Depending on the purpose of your biography or reading goals you may also include comprehension questions in the packet. Students often have trouble deciding which facts are really important. I suggest letting students write 10-15 important facts. Instruct students to star only 7 important facts to include. I then give each student a small sheet with my expectations for their timeline. At my school we have a program called Timeliner, but any program that allows timeline formatting will work. I typically ask students to open up the Timeliner program and insert the seven dates and corresponding events (in this program students don't have to worry about formatting very much). In their class/student folder on the computer I save several related photos (John F. Kennedy, for example, the White House, American flag, the Massachusetts flag). I expect students to add 3 photos to their timeline as well as a title and their name. Hang timelines, usually 8.5 x 22 inches, in the classroom and in the hallway so the children can show off their work. Because timelines are informally checked on by the teacher throughout the process I make assessment really simple. I have a very basic rubric that is more of a checklist than a 4, 3, 2, 1. This is the same paper that I give them as they work on their timeline so there is no confusion. After reading Who Was John F. Kennedy?, we know that John Kennedy faced many challenges in his life as a child and as an adult. Describe these challenges using specific and important details from the story. Allow students to choose their own biographies to work on. They will have to be able to work with less supervision, and they will learn from each other's work.